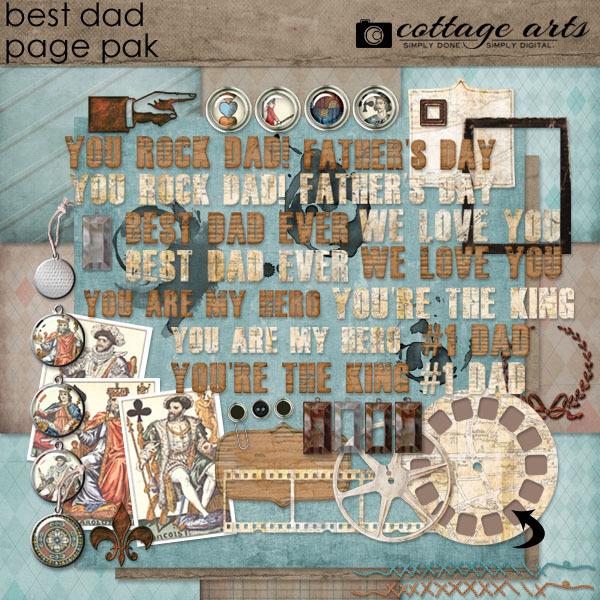 Honoring dads, fathers, grandpas, uncles, and the special men in your life, Best Dad is perfect for Father's Day, everyday memory keeping, heritage scrapbooking, card marking or hybrid crafting. 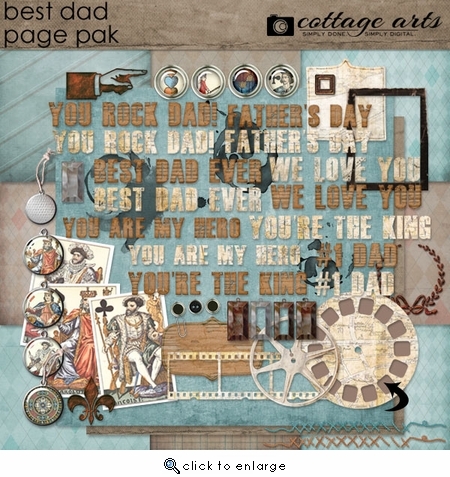 Includes 12 - 12x12 distressed, argyle and striped patterned or solid papers & 50+ masculine inspired elements: 7 jumbo word art quotes each in map paper and cardboard, movie reel frame, metal tags/frames, 4 Renaissance art tags, 4 Renaissance art brads, view-master frame in map paper, negative frame, 3 vintage playing cards, 3 coffee stain stamps, pointer finger, 2 mats, button, brads, paper clip, metal emblem, metal fleur, stitching, vintage black frame, metal tags, string. BONUS: includes 3 Click.Masks for each of the multi-photo frames (viewmaster, negative, and slide reel) plus a link to Michelle's Click.Mask and Realistic Drop Shadows Tutorials.